Company Profiles | Olds Auction Mart & Rosehill Auction Service Ltd.
Rosehill Auction Service efficiently handles from 60 to 70 farm and land auctions annually throughout Alberta. Established in 1953 the Company is managed by the same families and personnel, providing you with many combined years of auction experience. Our staff provides you with the proper promotion and advertising program to make your sale a success. Rosehill Auction Service Real Estate Division operates under its own Real Estate Company and Broker. 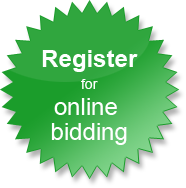 Providing you with vast knowledge of the auction business on selling real estate by auction. Up to date equipment from computers to sound systems and mobile sound trucks are all a part of the Rosehill Auction Service experience. Established in 1953, the second of it's kind in Alberta, Olds Auction Mart is currently owned and managed by those same families. The Mart has grown to be one of the largest volume trading centers in Alberta. The modern facility offers a capacity of 5000 calves and feeder cattle, handling them efficiently and accurately. Top priority is put on clean bedded pens with minimal stress on the handling of livestock. The second auction ring sells dairy cattle, baby calves, hogs, sheep and goats. Seven licensed, bonded auctioneers with over 150 years of combined experience and a support staff of fifty people handle sales with expertise. Special sales for machinery, horses and real estate are held throughout the year. Regular sales are held each Tuesday and feeder cattle sales are every Friday. Presorted calf sales happen in the fall, featuring carload lots of fresh ranch calves. Copyright © Olds Auction Mart Rosehill Auction Service Ltd. All Rights Reserved.